Dermaplaning is the process of drawing a very sharp blade across the skin that draws away all unwanted dead skin cells and fine facial hairs. This leaves the skin surface extremely smooth and radiant, making it look better and also making other treatments and skin care products penetrate the skin easier, and makeup to be applied smoothly. Do you want more radiant, brighter, firmer-looking skin? Are you fed up after applying makeup that clings to fine facial hair (baby hairs! peach fuzz!) and ruins its appearance? Dermaplaning is for you. 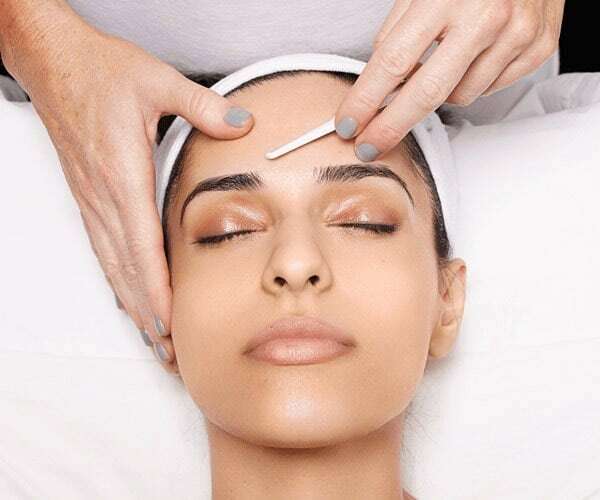 The process leaves smooth, flawless, photo ready skin – even under strong studio lighting and ultra-HD cameras – which is why dermaplaning is already a favourite among super models and celebrities. The process doesn’t leave any long lasting marks, so there is minimal downtime after the procedure. After it’s done you’ll be ready to go about your day – with smoother, glowing skin! The treatment is available for £50 and takes 45 mins, or for £79 add skin peel. Russian Volume Lash Extensions are here! Marissa joins Acacia – Expert Lash Artist! Winner of Client Experience Award – Customers Love Us!